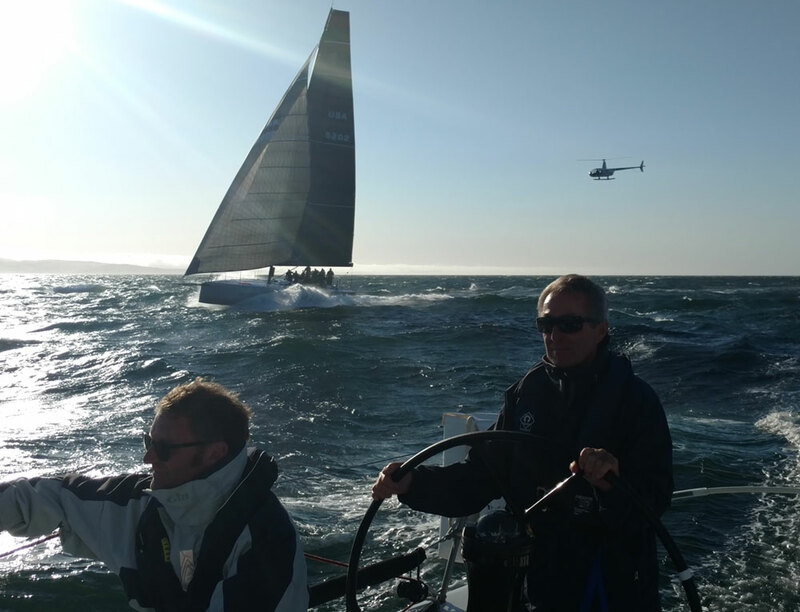 Ok, the spray has settled from the 2017 California Offshore Race Week, and we are here with a report of the fun! 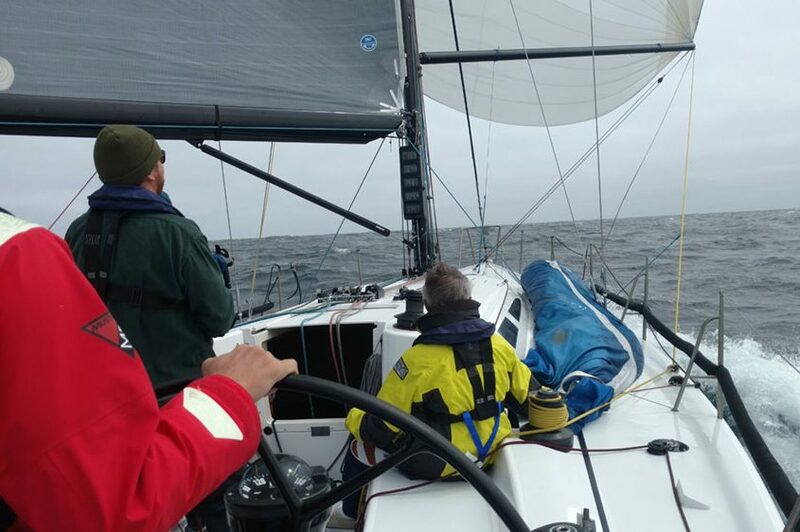 The Coastal Cup (Monterey to Santa Barbara) is known for the often challenging conditions, and this year was no exception! Winds in the steady 35 knot range (gusting to over 40) kept us pretty wound up, and after blowing up our second kite we throttled back, but still recorded a top speed of just over 20 knots…. woo-hoo!! 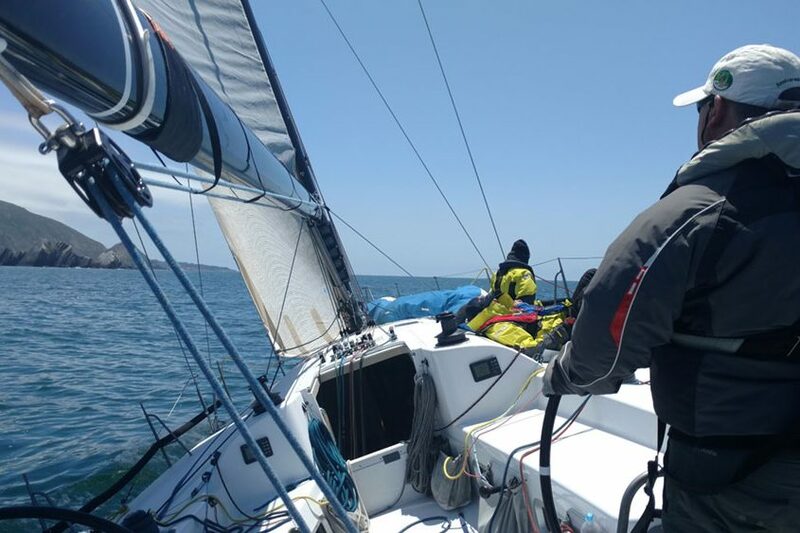 The final leg from Santa Barbara to San Diego started with big breeze and we were the second monohull thru the first scoring gate at Santa Cruz Island. 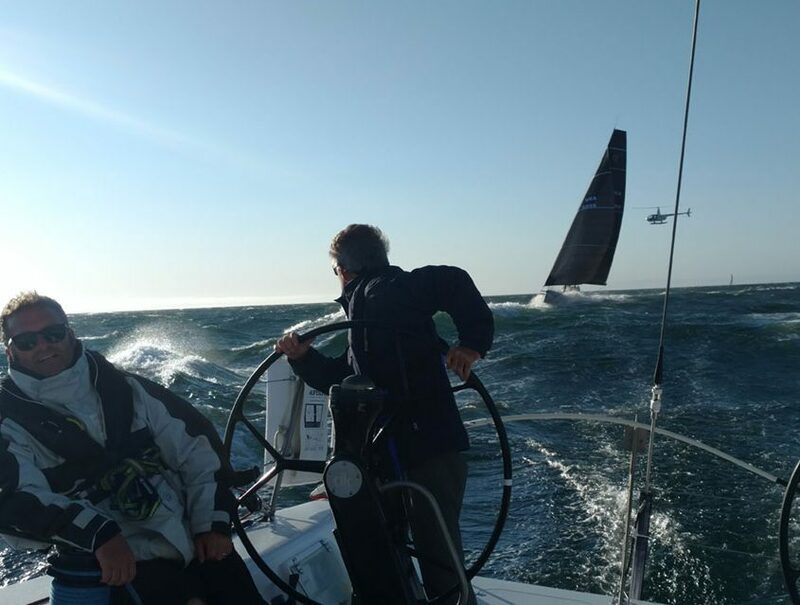 But the race ended with a whimper as the breeze died about 70 miles outside San Diego. 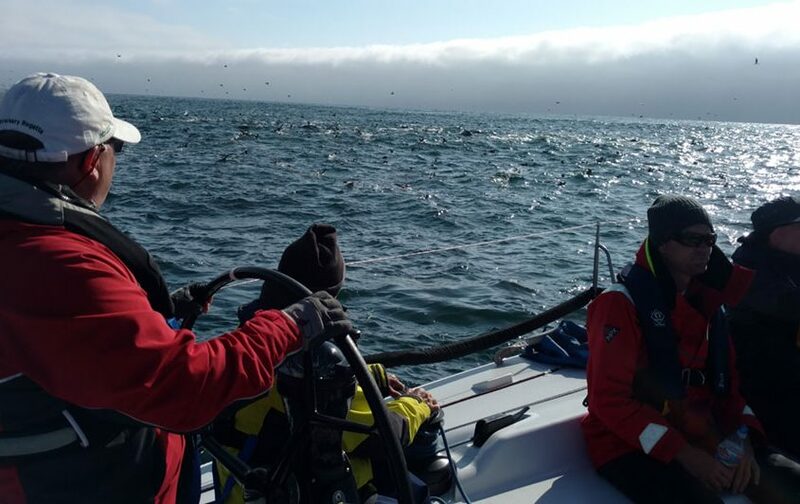 It was a long slow leg requiring tons of concentration, but the team did a fantastic job and we actually reeled-in a lot of the bigger boats on the push to the finish! Wildlife to the extreme… fish, dolphins, whales… and one shark! goes absolutely screaming by. He’s a J/World alum (Frank) by the way! Big congrats to them on winning the CORW overall! Ok, that’s it for this report! Great job team, and it was a real pleasure to sail with all of you! 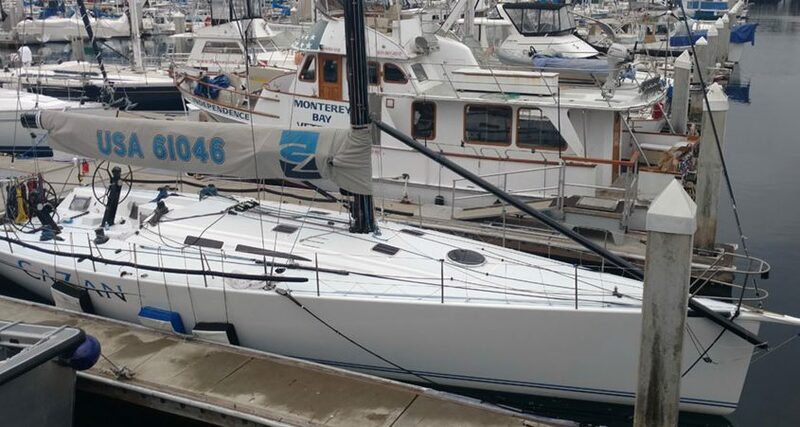 Next up: Transpac! Merlin. ‘Nuff said. TRANSPAC 2017 – HULA GIRL IS UNDERWAY!